NEW AudioQuest DragonFly RED USB Digital-to-Analog Converter. 32-bit ESS 9016 DAC with minimum-phase filter. 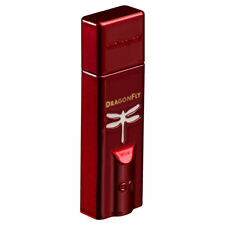 NEW DRAGONFLY RED. USB Stick-Sized Digital-to-Analog Converter. 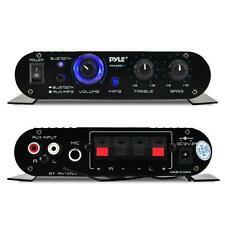 Fixed output feeds preamp or AV receiver. I've switched to a portable unit that I can use on my back patio a little bit easier. Audible Illusions Modulus 3A P re am p.
New In The Box. Full warranty. Phono Pre-Amplifier. Nobsound T2 Vacuum Tube MM RIAA Phono Preamp Turntable Phonograph Preamplifier. Nobsound T2 Vacuum Tube MM Phono Preamp. 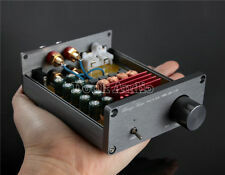 1 T2 Phono Preamp. Aluminum Chassis/DIY Enclosure. RCA gold-plated interface help transmit lossless audio signal. Webench-tested this pre-amp and found no flaw, but we don't have a turntable, so we couldn't judge its sound quality based on real vinyl. EPISODE EA-AMP-2D-150A 150Wx2 Power Amplifier (115-230 Volts) Great Condition! EPISODE EA-AMP-2D-150A 150Wx2 Power Amplifier (115-230 Volts) Great Condition!. Condition is Used. Shipped with USPS Priority Mail. This amplifier works perfectly does have quite a few scratches on the face plat and a few on the sides see pictures. Will be packed well. HiFi Art-Elfidelity. Hi-Fi Tube Amplifier. Digital Amplifier. Integrated Amplifier. Headphone Amplifier. Audio HiFi & DIY. AV Tube Integrated Amplifier. Nobsound G2 Subwoofer / Full-Frequency Mono Channel Digital Power Amplifier 100W. Episode EA-AMP-12D-70A 12 Channel Power Amplifier -Works Perfect . Condition is Used. Shipped with FedEx Ground or FedEx Home Delivery. Rack Mount Amplifier Receiver. Connect & Stream Audio from External Devices. Bluetooth Wireless Audio Streaming Ability. Amplifier Receiver. Bluetooth Connectivity Compatible with All of Your Favorite Bluetooth Devices. Nobsound®——Dou​k Audio. Nobsound®——Douk Audio. HiFi Art-Elfidelity. 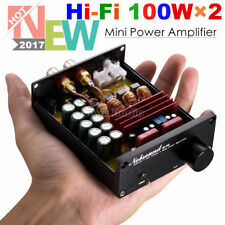 Mini Hi-Fi 6J1 Vacuum Tube Preamplifier. Audio HiFi & DIY. Aluminum Chassis/DIY Enclosure. 1× Digital Audio Preamp. - This is the preamp, not power amplifier.